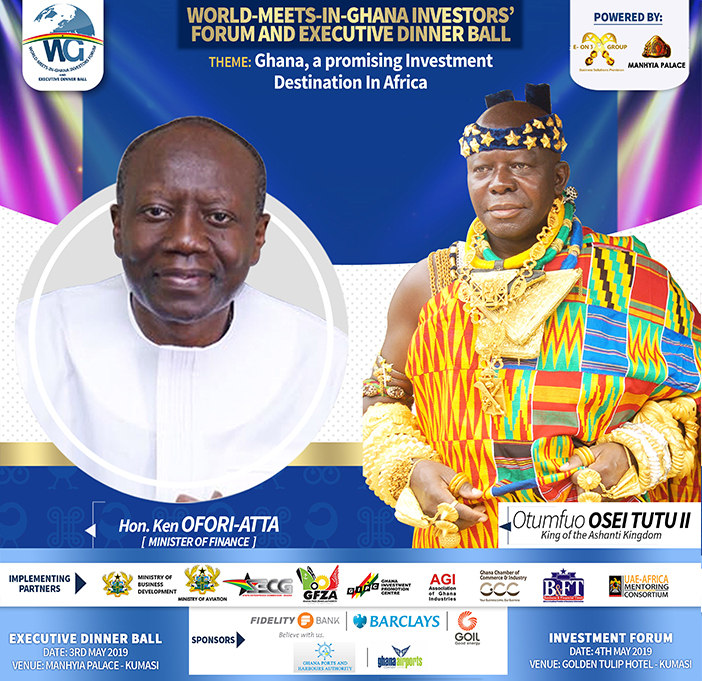 I wish to heartily welcome you to World Meets In Ghana Investors’ Forum and Executive Dinner Ball 2019. 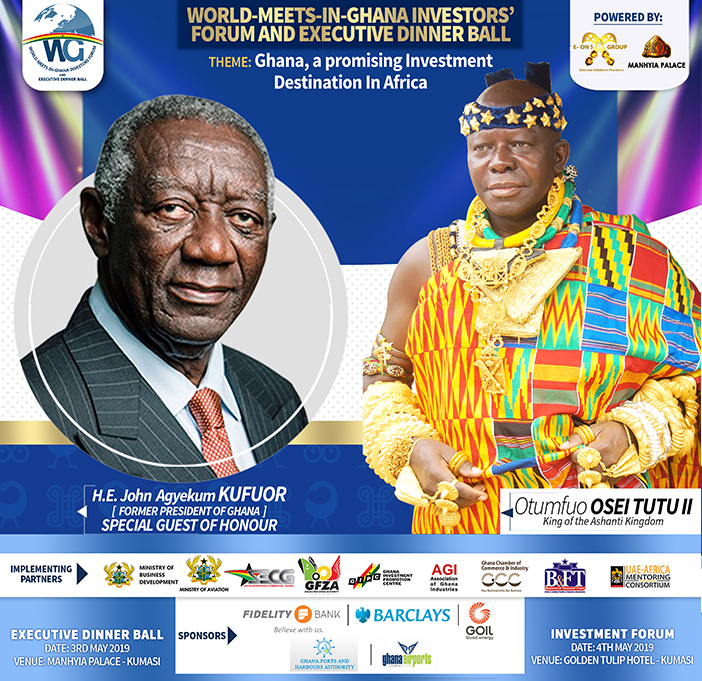 World Meets In Ghana Investors’ Forum and Executive Dinner Ball has been conceived of as one of the special gatherings in Ghana that puts together high-profile government policymakers and potential and active investors in Ghana. 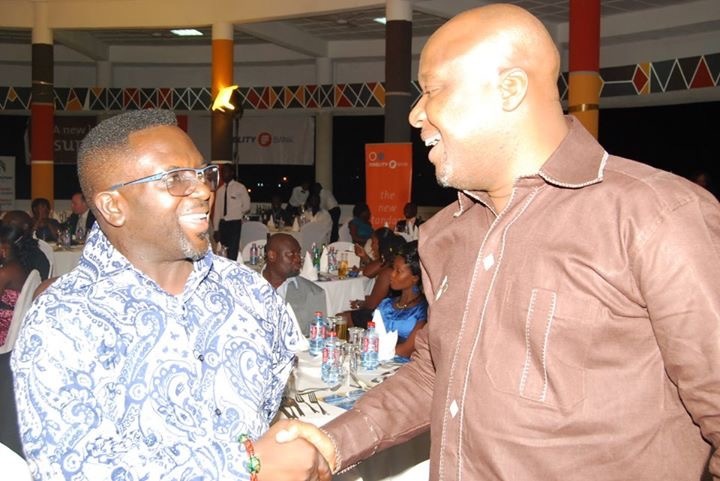 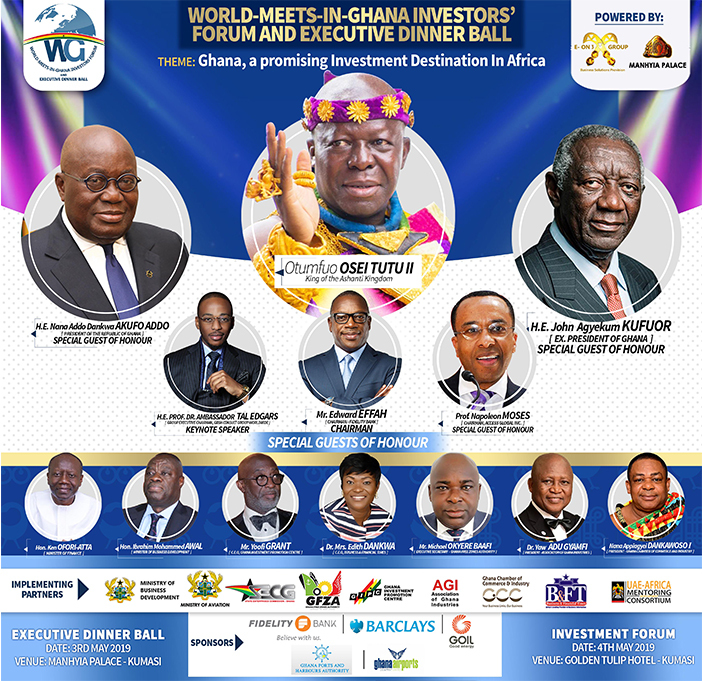 World Meets In Ghana Investors’ Forum and Executive Dinner Ball also brings together businesses across the entire spectrum of economic activities with a keen focus on government priority themes and sectors as articulated in the manifesto of the ruling party as well as the national strategic development document of the National Development Planning Commission (NDPC), as businesses from across the entire value chain will be present. 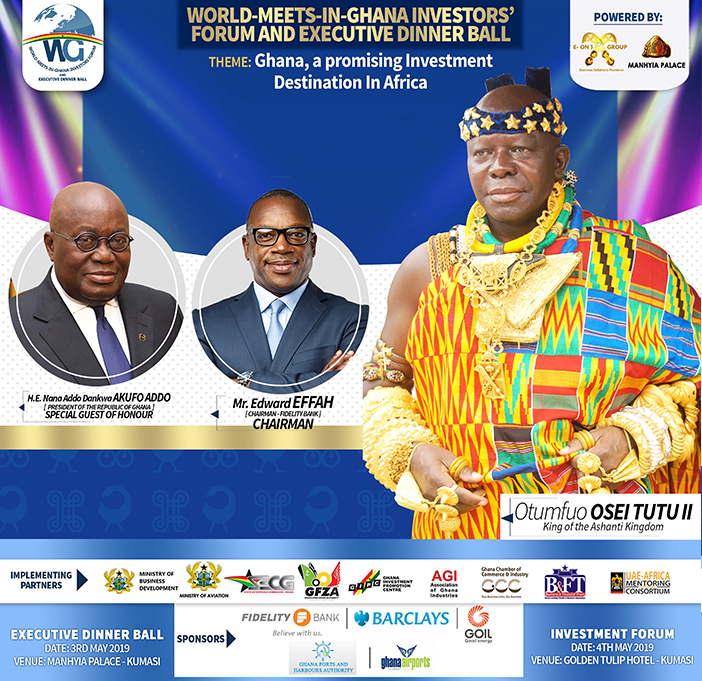 It is the keen goal of the organizers to promote fruitful B2B engagements, investment discovery and the forming of strategic partnerships and alliances that will result in significant deals and appreciable FDI inflow to Ghana and the sub-region. 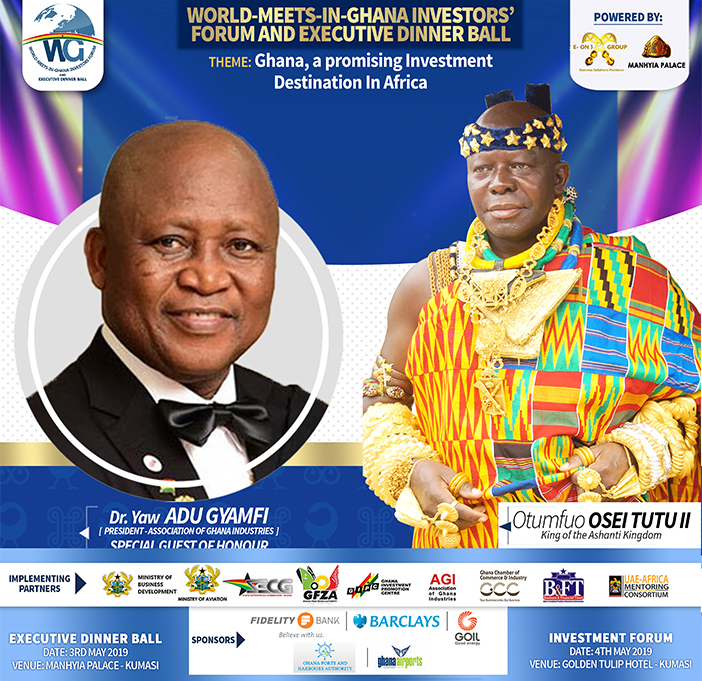 I am not only welcoming you to World Meets In Ghana Investors’ Forum and Executive Dinner Ball 2019, but more importantly, I am extremely delighted to welcome you to Ghana and to Africa. 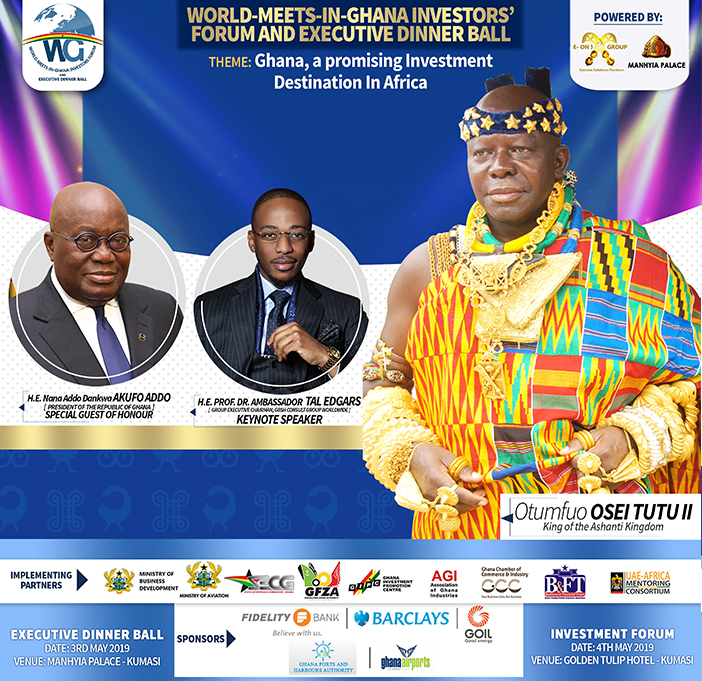 Ghana currently presents itself as an exciting investment destination. 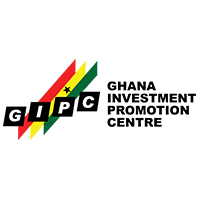 It may interest you to note that for more than three years running the government of Ghana has exceeded its own target for FDI. 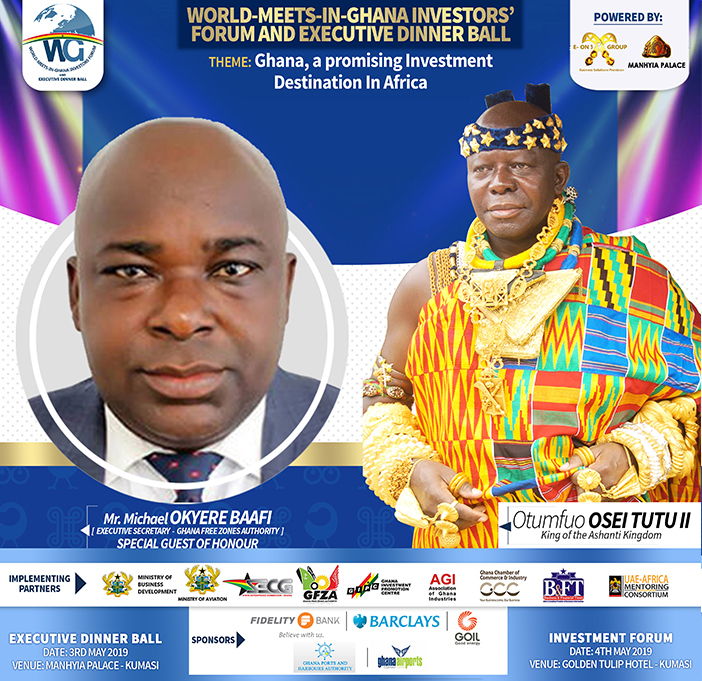 This makes the country even more ambitious and confident of being the gateway to the West African Sub-region and the Investment hub of Africa. 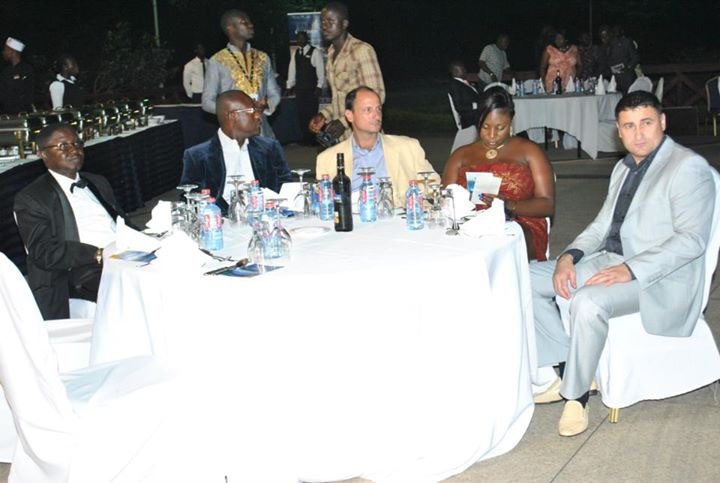 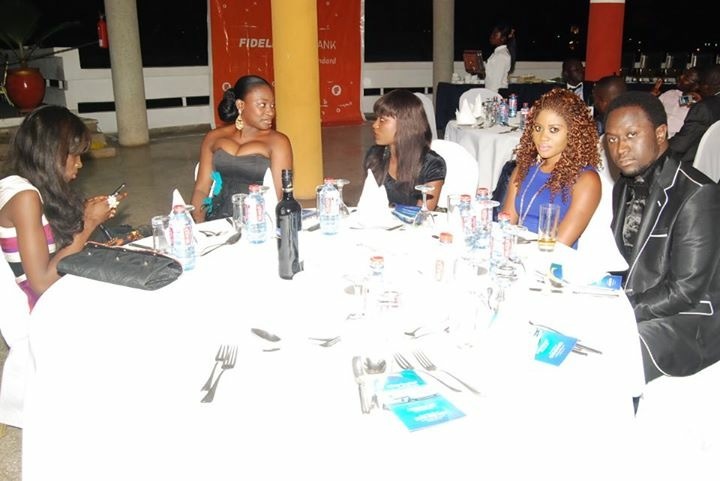 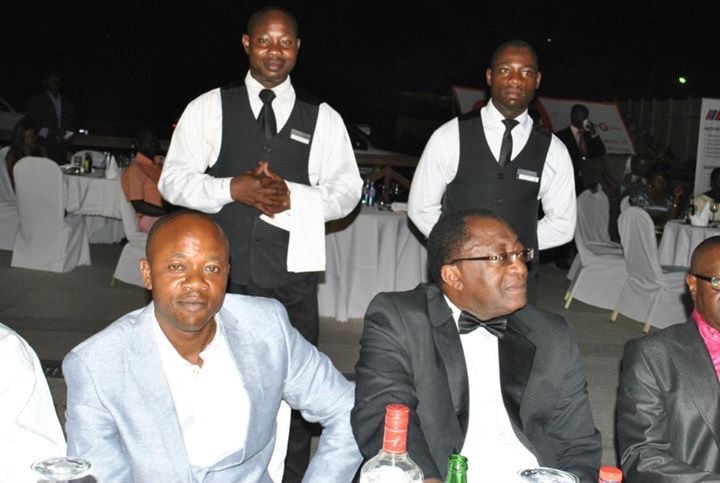 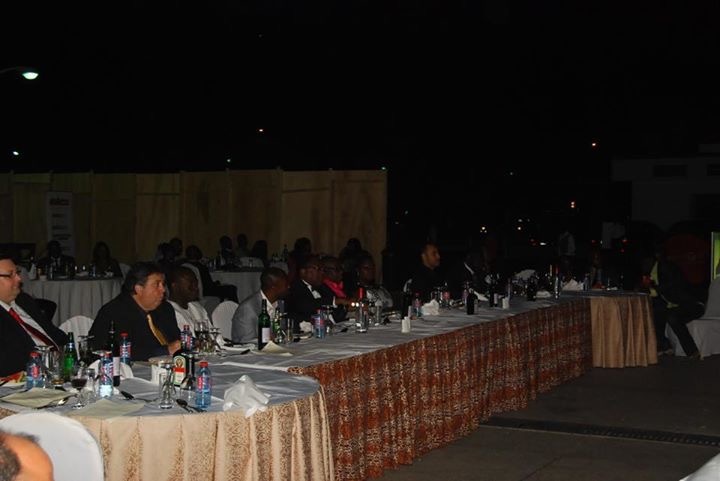 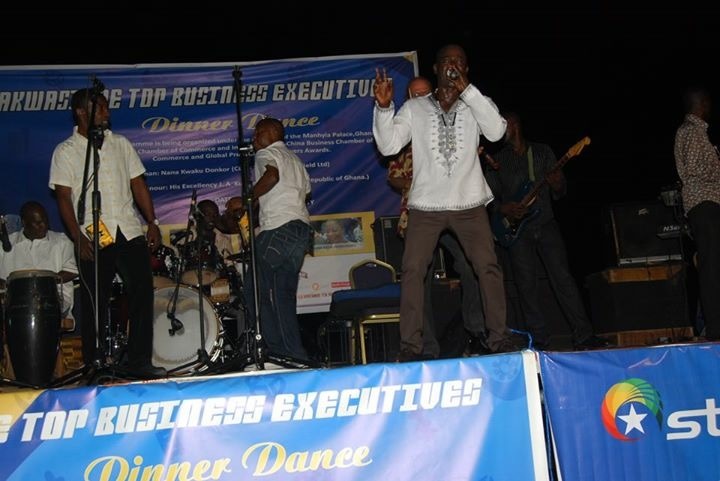 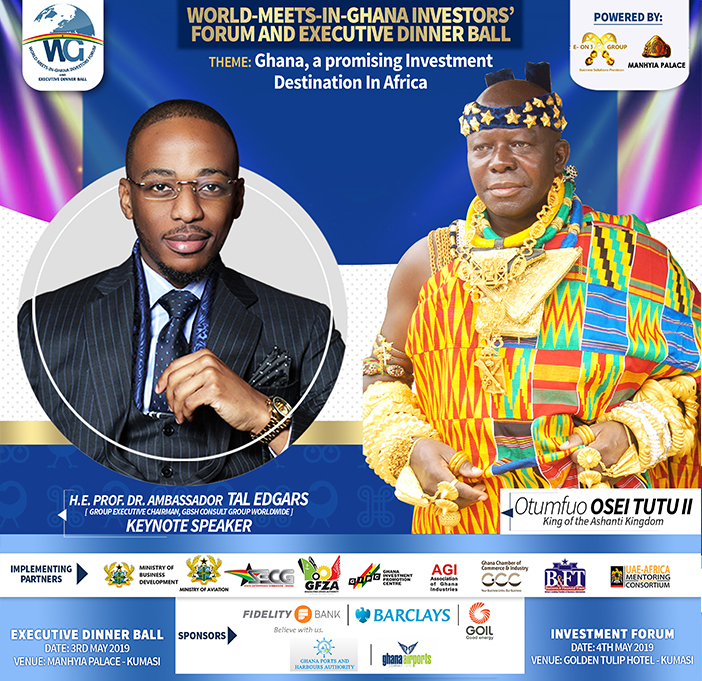 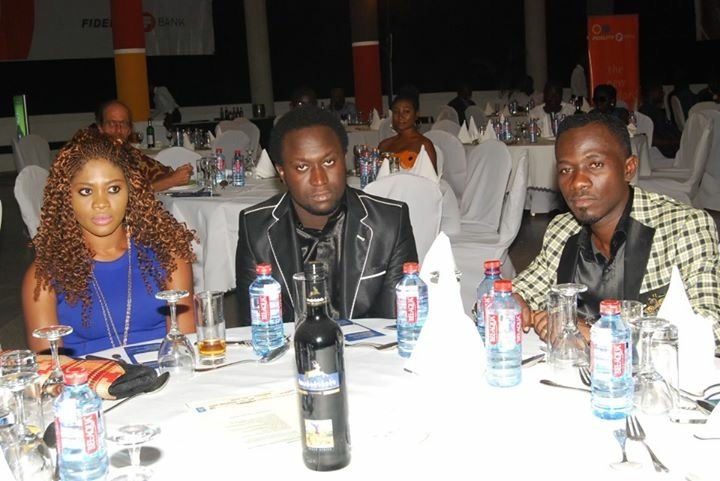 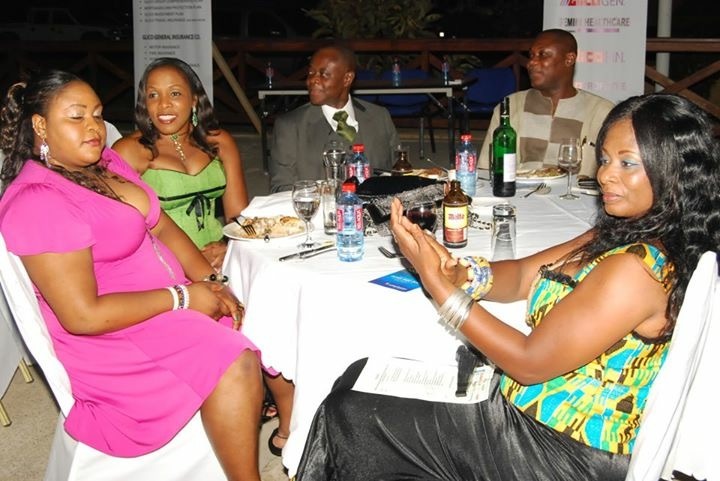 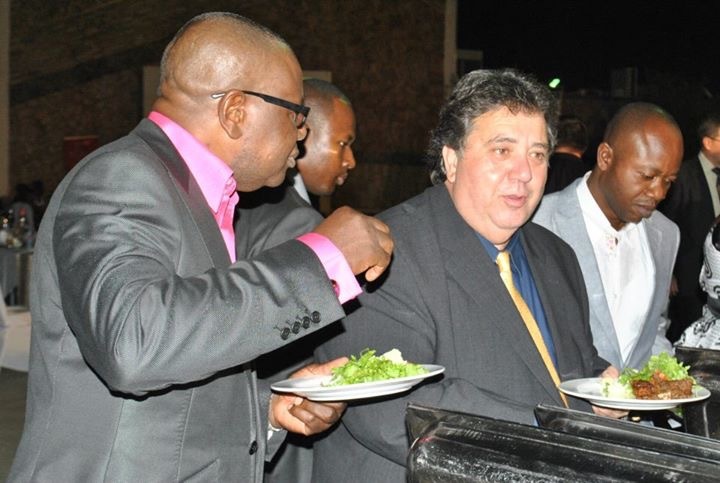 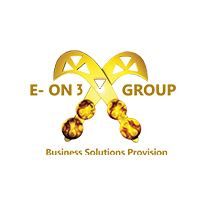 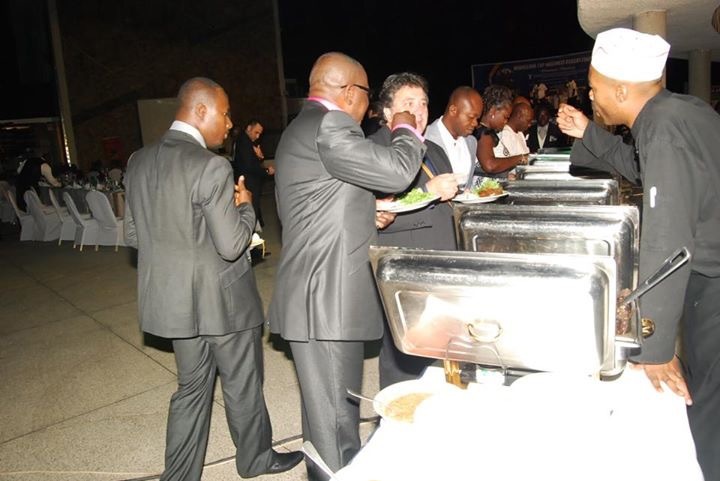 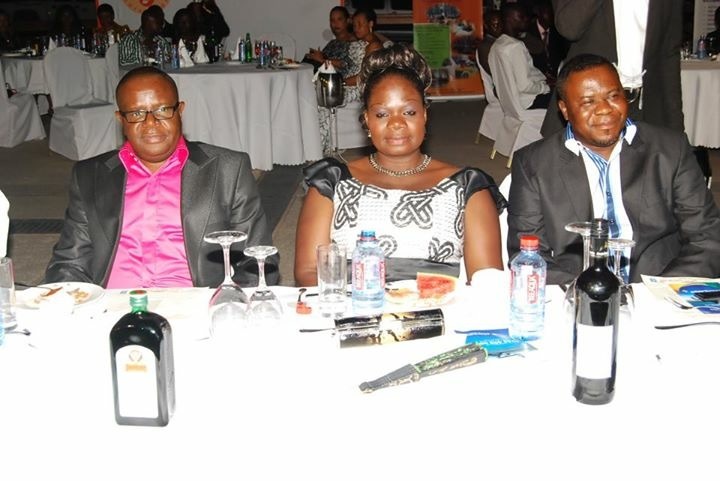 World Meets In Ghana Investors’ Forum and Executive Dinner Ball is an event organized by E ON 3 Group in Ghana. 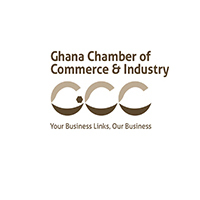 Following in the tradition of the Ghana Job Bank annual forums. 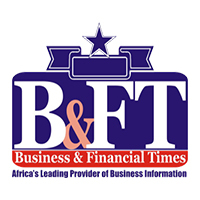 World Meets In Ghana Investors’ Forum and Executive Dinner Ball 2019 is an invitation-only event which brings together a unique blend of investors, leading entrepreneurs, industry specialists and renowned experts from across the world. 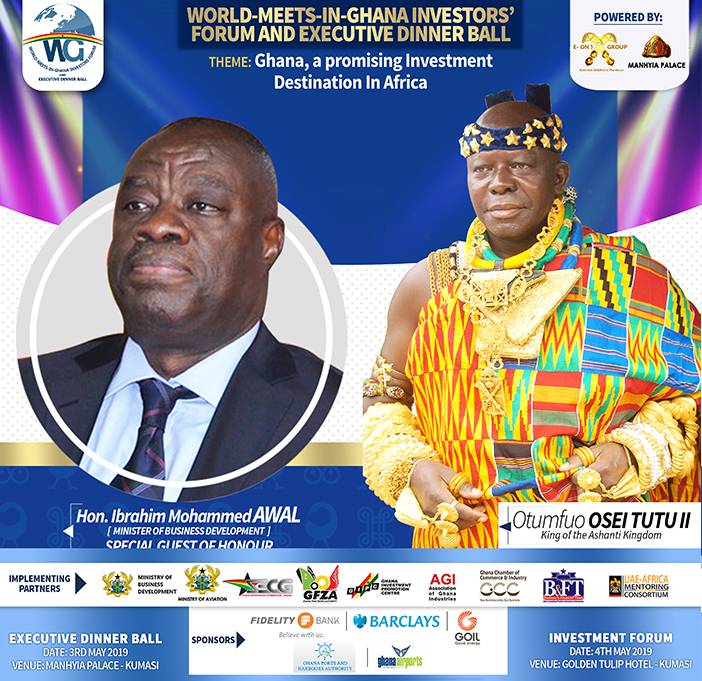 Participants are welcomed from across the entire spectrum of investible economic activities within Ghana and across the African continent. 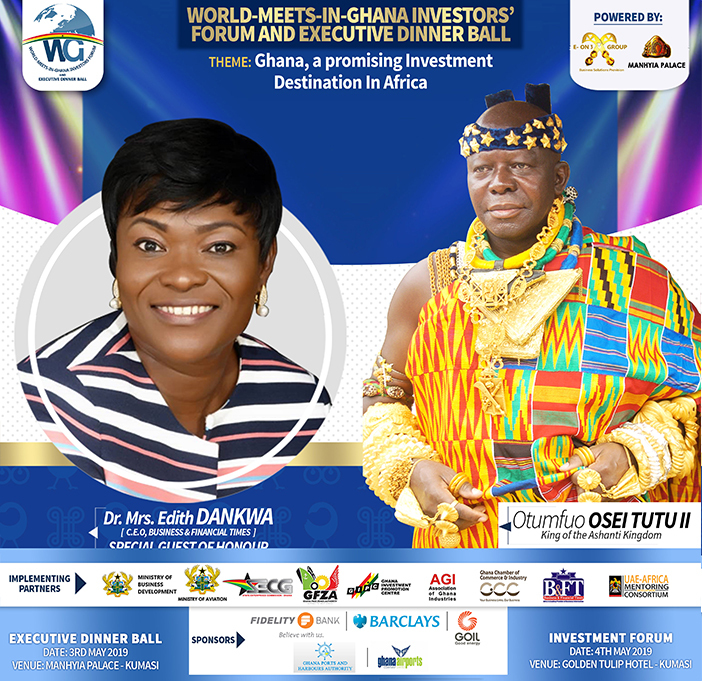 This gathering will provide an opportunity to gain insight from high-profile speakers on key trends and developments in the Ghanaian economy and the African continent with the view of providing invaluable insights to potential investors in Ghana and the African sub-region. 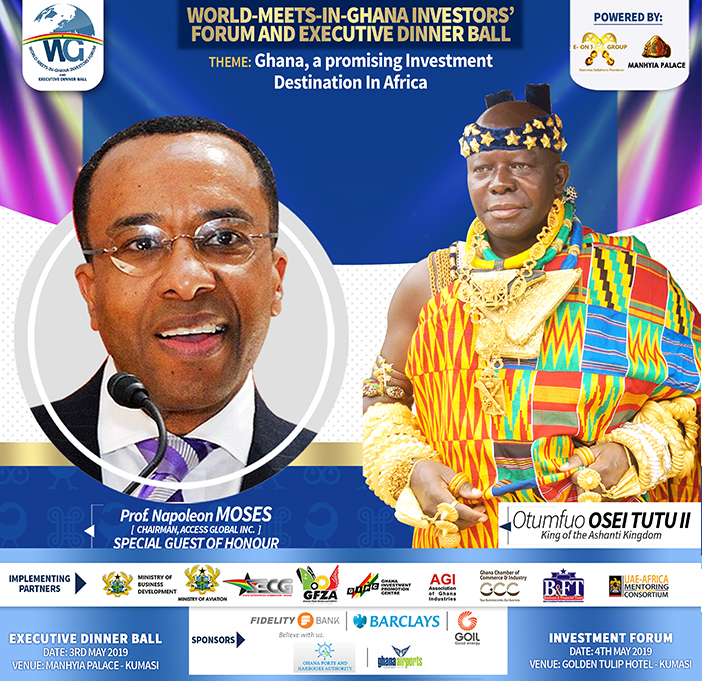 Our keynote speakers will also provide insights on doing business in Ghana, dealing with common hurdles encountered by investors in Ghana in particular and the African continent in general. 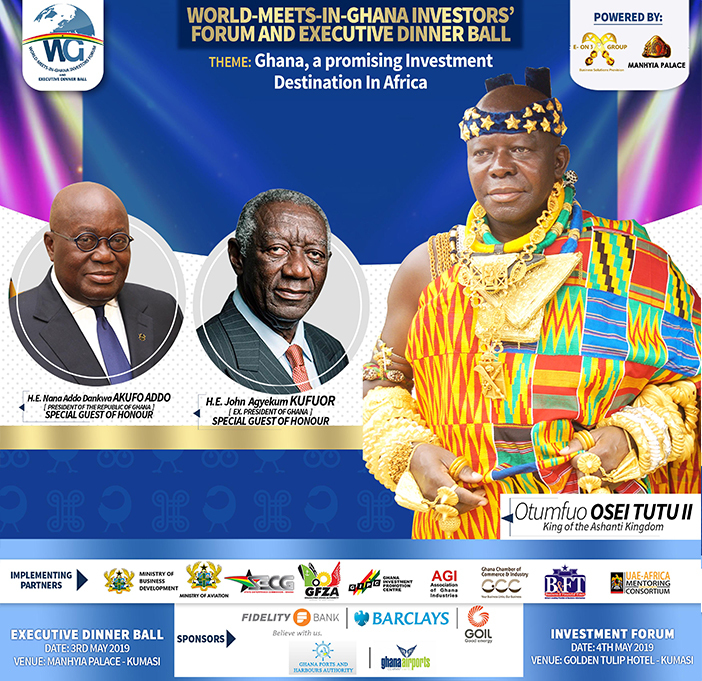 The forum is intended to attract potential investors and policy makers keenly interested in foreign direct investment (FDI) in Ghana, our target is to realize some actual follow-on investments after the event. 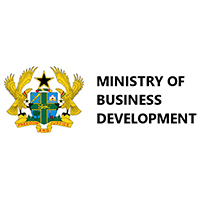 In view of this we are organizing for the first time ever… an “F2F With Sector Ministers” segment of the forum that will enable potential investors to interact directly with a sector minister regarding the area of their (investors’) interest. 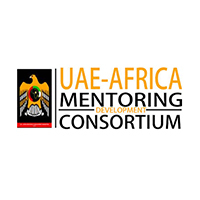 We believe this will help address some immediate concerns whiles a good path is carved for follow-on engagements after the forum. 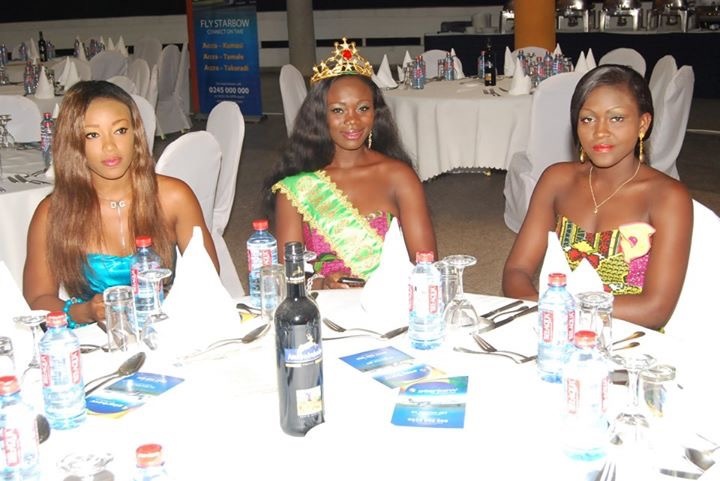 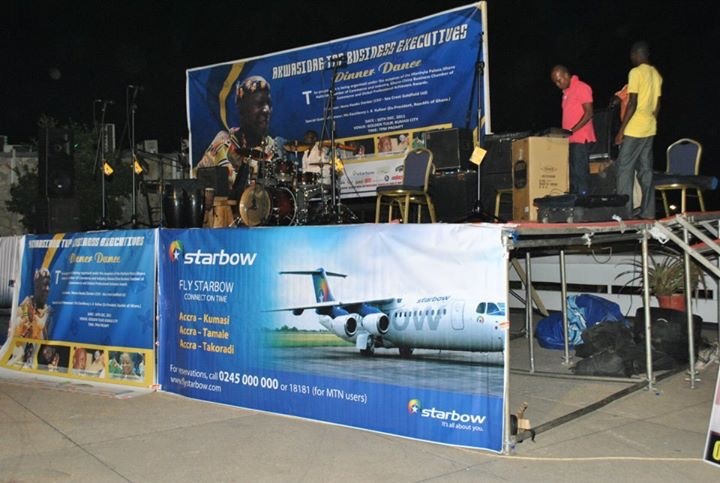 Ghana is known the world over as a very hospitable country, We will, therefore, treat our high net worth participants with a unique Ghanaian red-carpet treatment; you just have to get in touch to request for this. 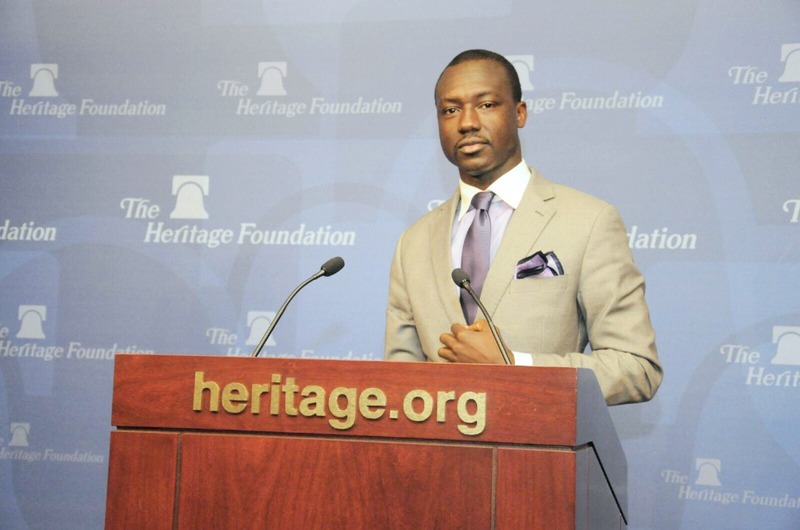 GHANA, A PROMISING INVESTMENT DESTINATION IN AFRICA. 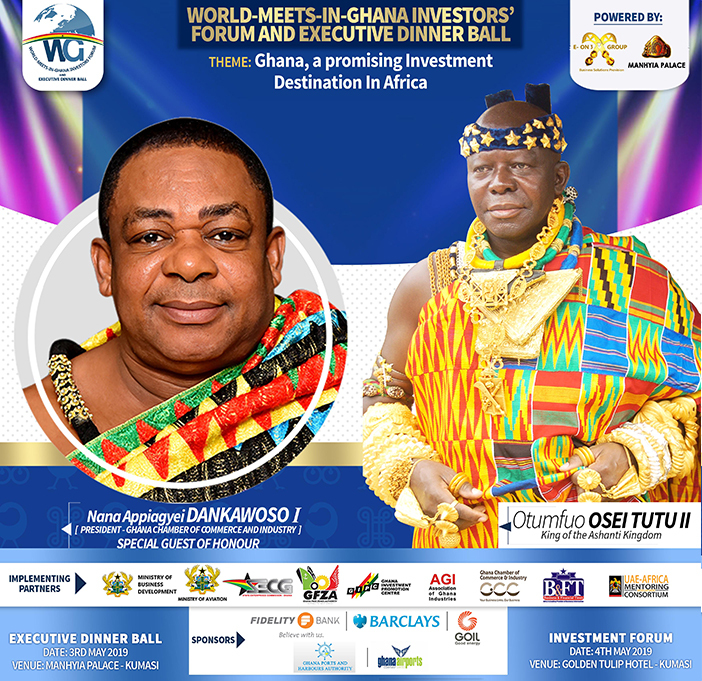 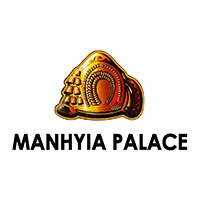 Ghana was originally known as the Gold Coast because it is naturally endowed with the precious mineral – gold. 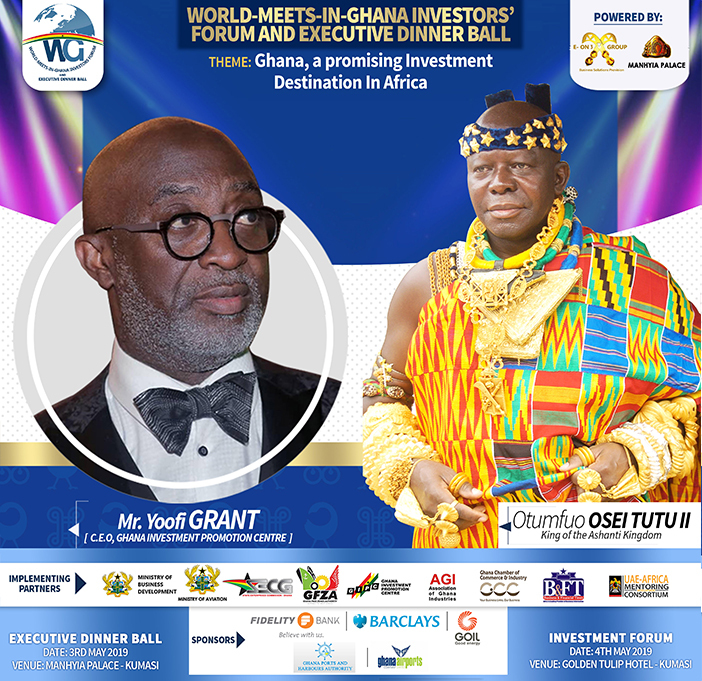 The West African country derived its name (Ghana) from the medieval Ghana Empire of West Africa which fought and conquered many territories under its leader, Sundiata. 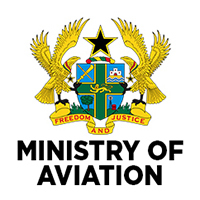 The Greenwich Meridian (Longitude 0 degrees) passes through Ghana and it is a little above the intersection of the Greenwich Meridian and the Equator (Latitude 0 degrees), known as Cape Three Points. 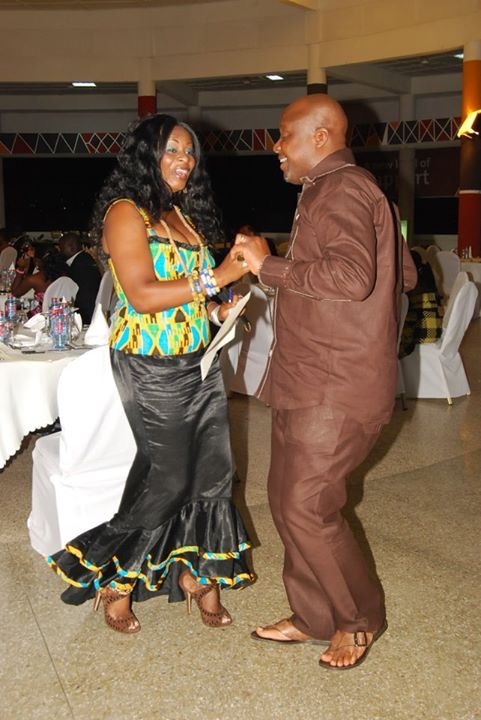 On the eastern border of Ghana is Togo, Burkina Faso to the north and Cote d’Ivoire to the west. 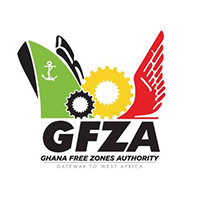 The Gulf of Guinea in the Atlantic Ocean borders the south. 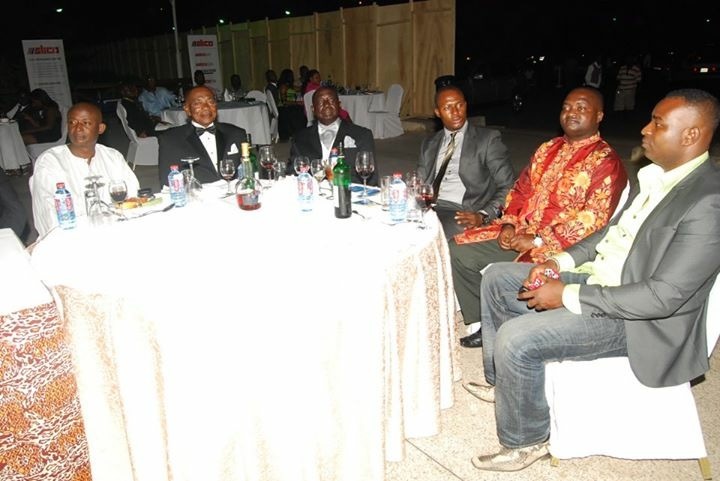 The capital city of Ghana is Accra. 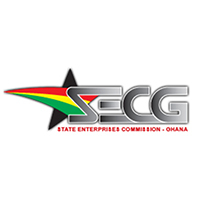 Its official language is English and its currency is the cedi. 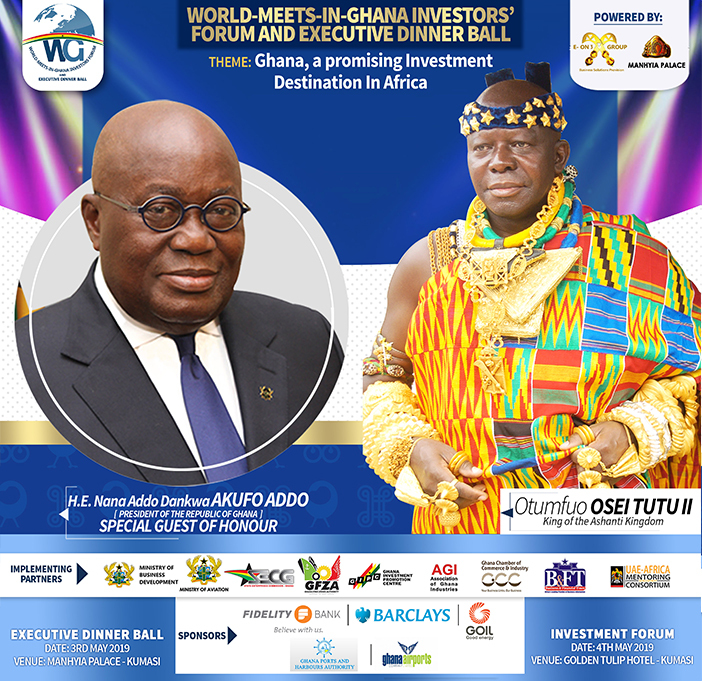 Ghana is one of the world’s largest producers of gold and cocoa, which are the country’s significant foreign exchange earners. 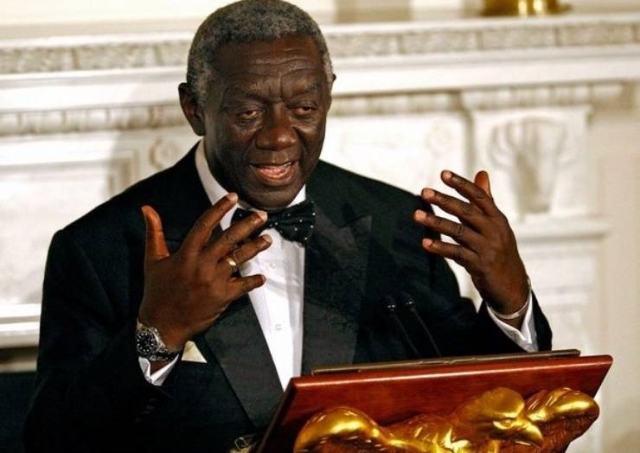 Ghana is the first country south of the Sahara Desert to obtain total independence, thereby inspiring many other countries to fight for self-rule. 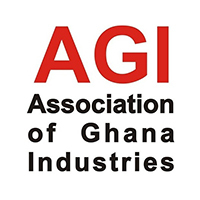 The name Accra, being the capital city, according to oral history, is derived from the Akan word “Nkran,” meaning “ants.” The name specifically refers to soldier ants.